TL; DR: Mixpanel is not new to the event-based analytics space — in fact, they pioneered it. Mixpanel pushed the industry forward, giving businesses new ways to see how people were interacting with their brands. Their analytics platform provides companies with more than just statistics on pageviews and traffic. Features, such as event tracking, retroactive funnels, and audience retention tools, give businesses a real-time glimpse into how customers are moving through applications. This allows companies to make pointed, data-driven decisions that positively impact user experience and conversion rates. Mixpanel’s platform has an intuitive interface, making it accessible to users at any level of technical sophistication. It’s no secret that focusing on user experience has become a trend in modern marketing. As a recent B2C study noted, brand loyalty, credibility, and the likelihood of consumers returning to an application or website depend greatly on its ease of use, clarity, appearance, and the overall impressions of interactions on brand touchpoints. To improve conversion and retention rates, businesses must understand customer experience by evaluating the factors leading to drop-offs and where on their journeys customers leave. Simple statistics on pageviews and traffic are really not enough to help businesses get to know their customers and retain them, but diving deeper into meaningful data to achieve this may seem a difficult task for many. Enter Mixpanel, an approachable analytics platform accessible to users at any level of technical sophistication. Mixpanel goes further than the traditional analytics model, offering a comprehensive overview of customer journeys by tracking events along their paths. In fact, Mixpanel pioneered this approach that allows users to collect data that can impact decisions and overall business objectives. Nihar Bhupalam, a Product Manager at Mixpanel, helps companies know their customers with real-time analytics. The platform offers a host of features, such as retroactive funnels, and audience retention tools, that make it simple for users to gather, interpret, and deploy their information. This, coupled with their A/B testing services, positions Mixpanel to realize their mission of helping the world learn from its data. From the very beginning, Mixpanel’s goal has been to create products for users of varying skill sets and make it easy to gain deep insights into complex data. Mixpanel recognized that employees in tech-oriented positions weren’t the only ones who could benefit from the analytics platform, so they built it to be accessible to anyone, from IT and dev teams to marketers, product leaders, and analytics teams. The old way and the Mixpanel way — the platform’s UI is accessible to users at any level of technical sophistication. Mixpanel offers a host of features and tools that work in harmony to make collected data actionable. Businesses can grasp in real time what’s happening in their apps and how customers are interacting within the different touchpoints. Through segmentation, retroactive funnels, and audience retention tools, Mixpanel allows users to get to know their customers, where they might be in journeys toward conversion, and why they are or aren’t coming back. To make the best judgments about what actions to take as a business, companies need to discover what actions their customers are taking, Nihar told us. By tracking customer actions, businesses can make data-driven judgments on how to improve user experience. Mixpanel’s segmentation tool allows users to measure this by pinpointing and tracking pre-selected events in the customer journey. If a business wants more information on, say, a purchase, Mixpanel can track how the customer made it through the conversion process and provide data on a variety of factors, such as type of product, referrer, the device used, and leverage the data set to dictate future iterations of an app. One of the most difficult challenges Mixpanel addressed for their customers was to provide insights into where customers are dropping off and converting. Retroactive funnels allow businesses to instantly gain these valuable insights. “This is very important in today’s business world where things change fast and you want to be able to move quickly to make decisions on how to improve your product,” Nihar said. 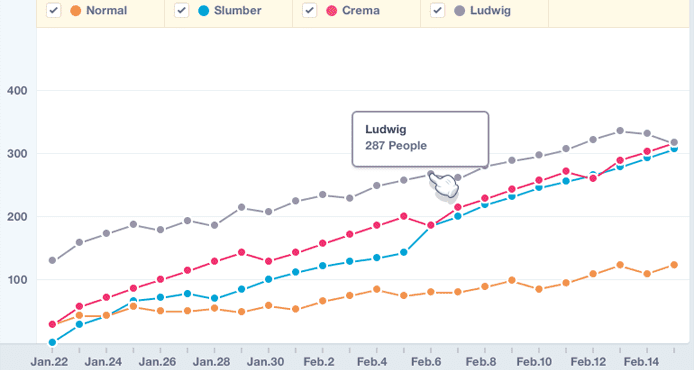 Mixpanel’s funnels work retroactively to measure how people are moving through a series of events. Users simply have to choose an event in a sequence, and a report can be created using all of an app’s historical data. The most popular and highly used feature on Mixpanel’s platform is the audience retention tool. All businesses seek to convert customers, but, ultimately, the overall goal is to keep customers coming back for more purchases. The audience retention tool is another feature that works to present data that can help inform a business’s decision on how to improve their apps, and, in turn, track retention rates to see if those changes were effective. There is a certain science to managing and knowing how to employ what you’ve learned from collected data. Mixpanel simplifies this process for businesses by offering A/B testing services. Companies can experiment with different variants of their apps to see how users navigate them. Again, Mixpanel makes results available in real time so the impact changes are having is immediately known. Mixpanel’s A/B testing services allow businesses to easily conduct experiments on their apps to see what’s effective. The testing portal’s intuitive user interface lets users easily edit text, move items around, change backgrounds, swap colors, and pretty much run any type of experiment. Mixpanel also created an A/B Developer Tweaks module where developers can make more complex changes by including “Tweaks” to small portions of code. A focus on innovation has always been a key part of Mixpanel’s philosophy. They were early players in the event-based analytics space and really helped push the industry forward by looking at how to boost conversion rates for their customers by placing user experience at the forefront. Thanks to their platform, companies are sending more than 5 trillion actions per year to learn more about their customers. 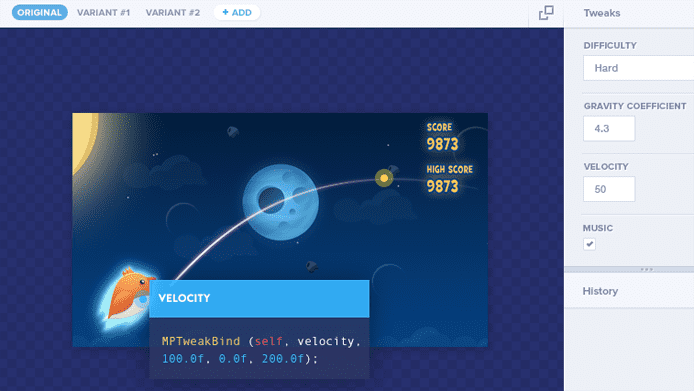 Mixpanel shows no signs of slowing the charge forward. Nihar told us of a few big product launches expected in early 2017 he’s sure are going to make significant impacts on their customers and the analytics landscape.